Hey there, first of all thanks so much for this! What do you think of including a discovery similar to Explosive Missile which would be gained at level 5? It could be structured similar to the Eldritch Knight’s War Magic ability. It took me a month or so, but I have finally added Explosive Missile as a new Discovery. Thanks again for the suggestions Hunter! Great idea about the Explosive Missile. If you don’t mind, I’d love to add what you’ve suggested to the list of discoveries! Thanks, yeah go ahead. I think it adds some offensive power for those who don’t want to play as a Vivisectionist. Dude! You did a really fine job here huh? Thank you very much. Can this ability only be used to healing potions, or is there a list of substances this ability can be used with? Great work! I’m really enjoying my Gnome Alchemist for 5e based on your work. My DM and I are in the process of generating a tinkerer/artificer college to better reflect my previous incarnation (and general Gnomery) with the alchemy expressed as magical clockworks. The intention is to have a clockwork familiar that improves abilities, size, etc (presumably increasing in complexity) at 6th, 10th and 14th just like the other colleges. Any ideas for good ways to balance this? No ideas here, assuming you’re still at it a month later. 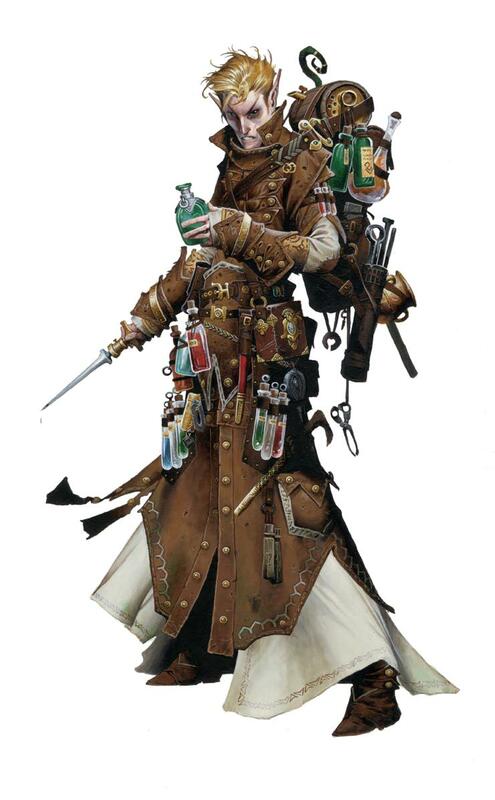 Pathfinder’s promethean alchemist archetype may be a good starting point, if you aren’t already working with that. Would love to see what you’ve got, my DM’s working on something similar.